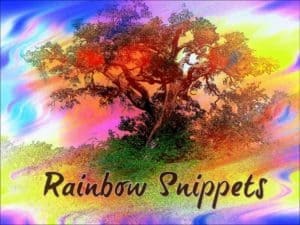 Rainbow Snippets is a Facebook group where GLTBQ writers post snippets of their work every Saturday. Click here to join us for some great, intriguing glimpses! After a few weeks of Jack and Gareth, for this weeek’s rainbow snippet I’ve chosen a little piece from FanBait, a Power of Zero side story that’s currently WiP. Rock star Nam Ryuu, better known as Tempest, and Max Young, head of StarStudded Security, have spent a large part of Tempest’s world tour dancing around each other. A request by Tempest’s management company for the star to go on a dinner with an influential, but rather unpleasant, media tycoon, brings out all Max Young’s protective instincts, even though Tempest keeps telling him it’s nothing but work. This takes place after their fight, which Max lost, when Tempest and Skylar, the lead stylist, have pulled out all the stops to get Tempest ready for his dinner. Max found it hard not to stare when Tempest stepped from the dressing room looking like he’d absconded from the worst part of the eighties. Skylar, firmly on Tempest’s side throughout the fight, had dressed the star in clothes they would both consign to a bonfire at any other time – like a rainbow-hued clue for Max that this was nothing but work. The voluminous off-white shirt in some dreamy, floaty fabric was more decorative than functional. Max ran his gaze from the smudged purple liner to the heavy torc of hammered silver around Ryuu’s throat that set off his caramel skin. He took in the gleaming boots with their inch of heel, the tight black leather pants, and the rhinestone-studded belt, its silver buckle large enough that a man could lose fingers – and a helpless smile pulled at the corners of his mouth. “looking like he’d absconded from the worst part of the eighties. ” Oh the wonderful images this invokes. Or horrific ones, of course. I think Tempest is more a sake guy. Which – Tempest or Max? That last line made me laugh and I do love the priate new romantic look. I do, too – even though Tempest and Skylar will be horrified to hear this. Love it! I could picture him exactly. The late 80s/early 90s rock was my era – lived it, loved it, and wore all the same get-up, hahaha. I have to read this. Glad it hit some buttons for you. How, er, dramatic XD Cutting off your nose to spite your face a little there, Ryuu? I think he wants to make it crystal clear that he doesn’t really want to go to this dinner. Max is rather obtuse here. Ha ha! Love this whole bit. The descriptions are great. I’m not entirely sure Max isn’t appreciating the view — especially of the tight leather pants. Love the parrot comment! I’m sure Max loves the outfit. He just wouldn’t admit to it. I love the parrot comment!